Probiotics are bacteria which are beneficial to your health that help maintain the natural, healthy balance of bacteria in your digestive system. The normal human digestive tract contains about 400 types of probiotic bacteria that reduce the growth of harmful bacteria and promote a healthy digestive system. The largest group of probiotic bacteria in the intestine is lactic acid bacteria, of which Lactobacillus acidophilus, found in yogurt with live cultures, is the best known. Probiotics are also one of the few methods of promoting your body’s natural ability to absorb nutrients. Although many people try to supplement their diet with expensive multivitamins, or otherwise attempt to ‘overload’ on fruits and vegetables, in many cases nutrient deficiencies are simply a symptom of probiotic imbalances within the digestive system. Modern science is now indicating that probiotic supplements cause your body to absorb more nutrients from your diet, which results in you feeling fuller faster and ultimately storing many less calories as fat! Many people use probiotics to prevent diarrhea, gas, and cramping caused by antibiotics. Antibiotics kill “good” (beneficial) bacteria along with the bacteria that cause illness. 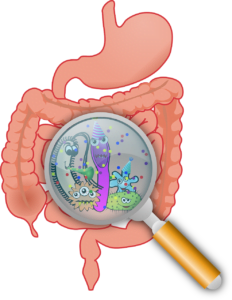 A decrease in beneficial bacteria may lead to digestive problems. Taking probiotics helps to replace the lost beneficial bacteria. Probiotics are also being studied for benefits in colon cancer, skin infections, and inflammatory bowel syndrome (IBS). Probiotics were the most surprising type of supplement we have reviewed thus far at CHR.com. 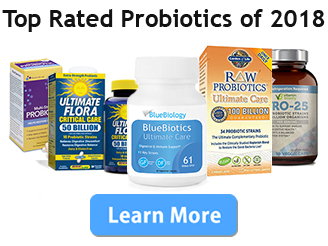 This was due to the incredible versatility of the supplement as well as its remarkable overall effects on quality of life reported by those who maintained a daily regimen of probiotics. Check the ‘Benefits’ page under ‘Probiotic Supplements’ to see if you could benefit from probiotics. Under the ‘What Should I Look For?’ section you can find a reference list of which strain, in particular, addresses your health needs.